Website SABIC FRT Tapes B.V.
As an Industrial Engineer you focus on the development, the production processes and the application of fiber thermoplastic composite materials. Together with the technology team, you use the most advanced innovative production processes and work closely with leading industrial partners. With your knowledge and experience in the field of polymers and composite materials you contribute to the development of high-quality UD tapes. You will work at Sabic, a global leader in diversified chemicals. 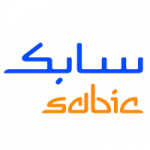 Sabic is an innovative production company that specializes in producing UD tapes. The tapes are partly made of fiberglass, making it a unique product. As an Industrial Engineer you implement the development of new fiber-resin combinations. This supports the growth of the UDMAX production line of the company in the short and long term. You explore new fiber / resin combinations in the development of UD tapes through resin formulation, continuous fiber spreading and impregnation process development. This will include setting up a working hypothesis, various experiments, mechanical tests and (static) analyses. You use the techniques and methods commonly used in the composites industry. Specify, select and implement new test methods internally and externally for a quick assessment of the developed materials. Conduct literature research and patent monitoring to understand and follow the trends in the thermoplastic composites industry and technology. Document and present results during internal technical project and team meetings and externally with clients and during conferences. Identifying and testing various suppliers for purchasing new raw materials. Manage the scaling process for the developed materials and define QC methods. Knowledge of composite materials and their properties (physical, mechanical, electrical, chemical). Preferably using matrix materials such as thermoplastic resins. Skills in creating and implementing new test methods to assess product performance. Knowledge of static analysis systems, preferably Lean Six Sigma. Mastery of English and Dutch language. Salary between € 3,200 and € 4,000 based on 40 hours and depending on experience and knowledge. 40-hour working week with working hours from 8 am to 5 pm. Travel allowance also for employees from Lelystad. You will work on a product that can not be obtained in any other place in the world. The organization is innovative, grows rapidly and is a leader in the world of UD tapes. Enthusiastic about the vacancy Industrial Engineer? Contact Proteqs: info@proteqs.nl or call +31 320 84 05 00.